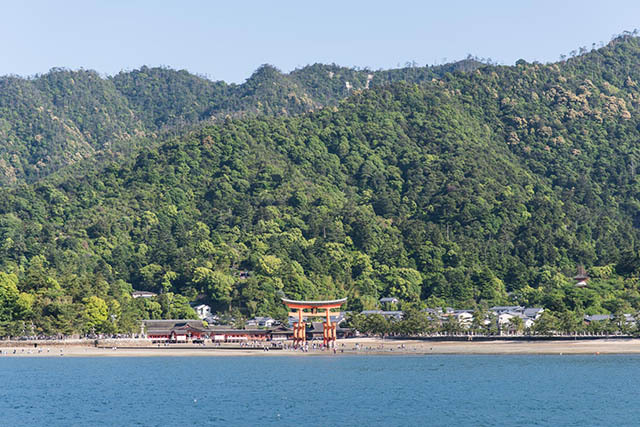 Miyajima is a small island located around one hour from downtown Hiroshima. To get here from the central parts of the city, you have several options. In this article, we will try to cover them all. 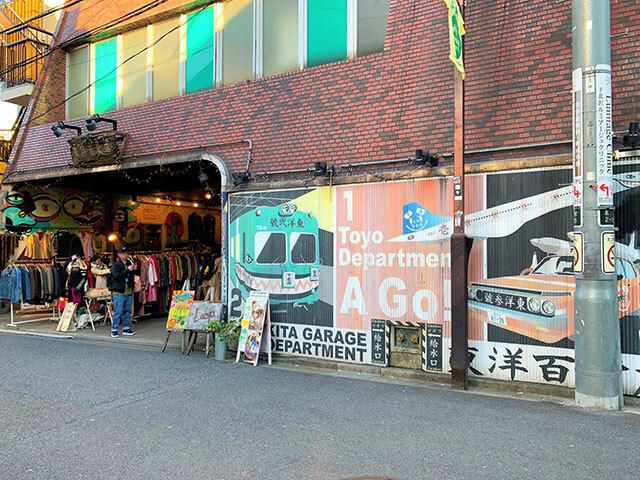 Most people tend to opt for the tram route, although it’s not the fastest way to get there, it might be the most charming one, as the trams in Hiroshima are something of a nostalgic and iconic means of transportation in Japan. Tram line number 2 runs all the way from JR Hiroshima Station to Miyajimaguchi station, where frequent ferries will take you to the island in a few minutes. The entire ride from Hiroshima station to Miyajimaguchi takes 69 minutes, but if you travel from the Genbaku Dome downtown, the ride takes 52 minutes and costs 260 yen from any tram stop in central Hiroshima. A much faster way to get there, especially if you’re coming from JR Hiroshima station, is to take the JR Sanyo Line bound for either Miyajimaguchi or Iwakuni. There are trains departing every 10 to 15 minutes and the ride takes 30 minutes. The ride using the JR line between Hiroshima Station and Miyajimaguchi costs 410 yen. Once you’ve reached Miyajimaguchi, you have two different ferry companies to choose from – JR or Matsudai. They both take around 10 minutes and the price is the same (180 yen), but if you’re in possession of a Japan Rail Pass, you’ll be able to ride the JR ferry for free. Another way to reach Miyajima is by taking the direct boat from Peace Park in downtown Hiroshima. This is a far more expensive option, at 2,000 yen one way (3,600 yen for a round trip ticket), but the steep price is somewhat made up for by the fact that this ride is very beautiful, giving you a good view of the bay where Hiroshima is located, as well as the many surrounding islands in the Seto Inland Sea. There are also boats departing from Hiroshima Port. 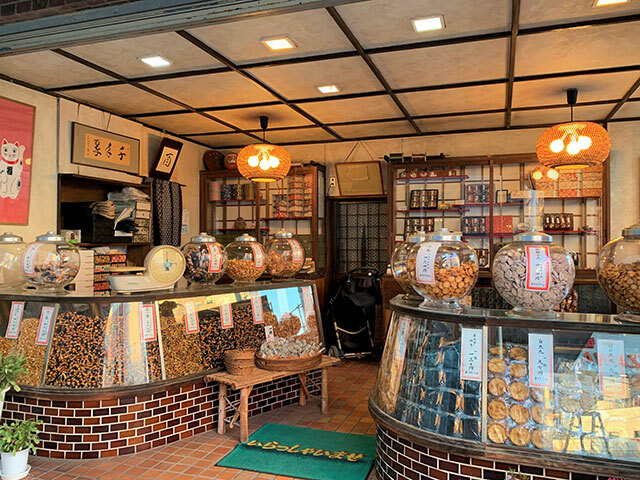 From there, the ride to Miyajima takes 25 minutes and costs 1,850 yen, but bear in mind that Hiroshima Port is located somewhat far from the central parts of Hiroshima. You can also catch a high-speed ferry from the Marina Hop shopping center in the southern part of Hiroshima City. From there, the ride takes 25 minutes and will cost 1,200 yen (2,000 yen for a round trip ticket). On weekends and national holidays, they also operate a boat called Kaioh that looks like a pirate ship. The price is the same for both options, but the Kaioh route takes 45 minutes instead of 25. The company operating the boats from Marina Hop also offer sunset and night cruises around Hiroshima Bay for 2,500 yen which take approximately 90 minutes, however these don’t stop at Miyajima. The boats from Marina Hop depart approximately once every hour, starting at 9:30am, and the last return trip from Miyajima departs at 5:00pm. If you’re travelling from other cities in Japan, Hiroshima, and in extension also Miyajima, can be reached easily too, as Hiroshima is connected to the Shinkansen High Speed train network. From Tokyo, the ride to Hiroshima takes about four hours, and from Osaka, it takes around 90 minutes.